You find these tags classic seating, tables, conference room - with us. But if you are looking for a special place, a place of power to recharge or a creative atmosphere to develop fresh ideas, then you are right here. Gladly we provide you our classroom and also the Café available. The location is in the Hamburg Neustadt, located in the born district and in close proximity to the goose market. The decor is modern, flexible and creative with lovely details. Our large magnetic wall has room for all kinds of ideas and of course we have also a modern close Beamer, the classic flip chart and for nostalgics - an overhead projector. Depending on the demand, there is space for 2 up to approx. 25 persons. Gladly we take care also the physical well-being of our guests. You find these tags classic seating, tables, conference room - with us. But if you are looking for a special place, a place of power to recharge or a creative atmosphere to develop fresh ideas, then you are right here. Gladly we provide you our classroom and the Café available. 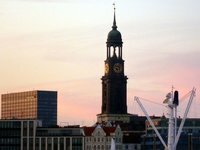 The location is in the Hamburg Neustadt, situated in the born district and in close proximity to the goose market. The decor is modern, flexible and creative with lovely details. Our large magnetic wall has room for all kinds of ideas and of course we have also a modern close Beamer, the classic flip chart and for nostalgics - an overhead projector. Depending on the needs, there is space for 2 up to approx. 25 persons. Gladly we worry also about the physical well-being of our guests. On the idea of letting our visitors and guests even have us by the way. Thank you and if you have other needs or ideas for your private celebration - we look forward to your inquiries.